Vine. Sunrise. Google Reader. Over the years, we've seen many pieces of software thrown on the virtual garbage pile. The reasons behind their demise are numerous: Sometimes a startup is acquired, only to be have its indie darling absorbed by another, larger and more strategically important service. Other times, it's because the product isn't financially viable. Regardless, we miss them. 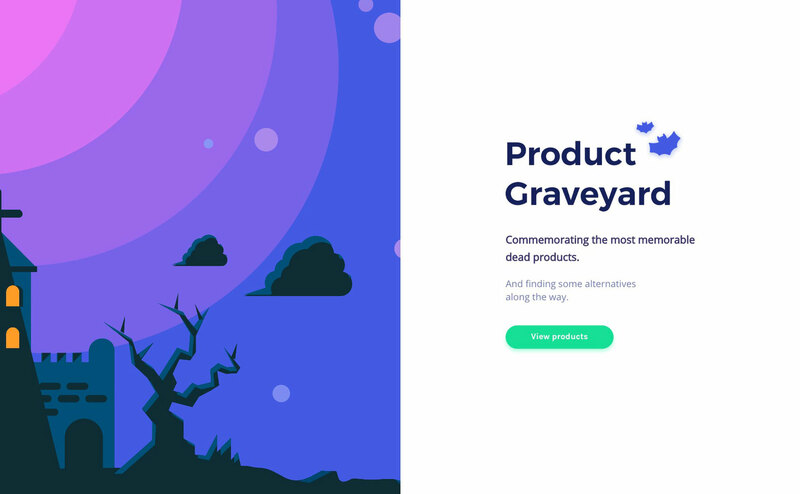 To celebrate their digital lives, designer Duong Nguyen has created the Product Graveyard. 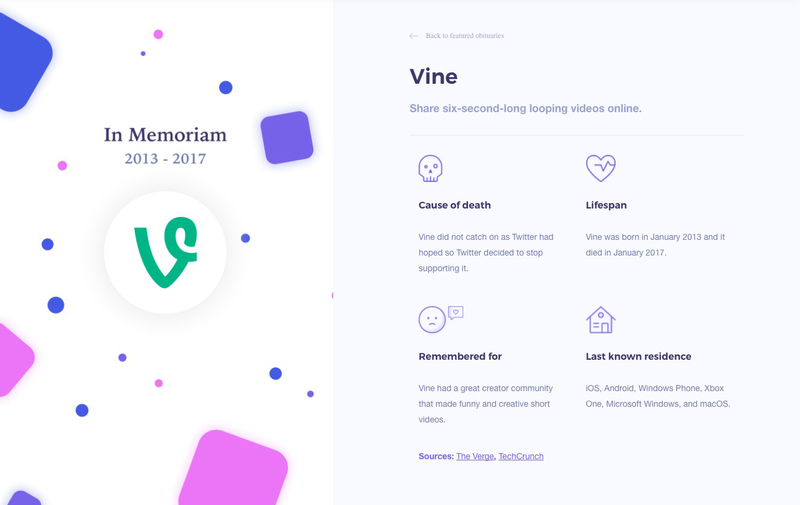 As the name implies, it's a simple site filled with pithy "obituaries," explaining each product's lifespan, "cause of death" and the reason why it should be remembered.